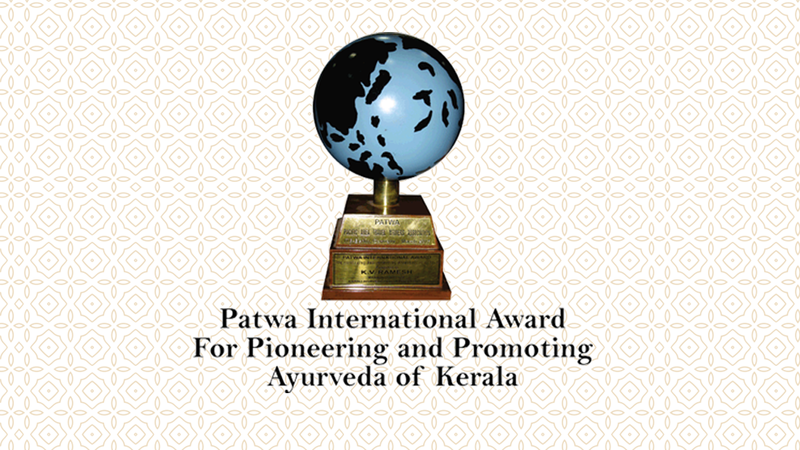 Kairali – The Ayurvedic Healing Village (Formerly known as Kairali Ayurvedic Health Resort), Palakkad, Kerala (India) has been awarded the prestigious PATWA Award (Pacific Area Travel Writers Association Award) for pioneering and promoting Ayurveda of Kerala both in India and internationally at the ITB, 2007 in Berlin, Germany. With all the current modern day maladies there is no better time than today for promoting the ancient science of Ayurveda that helps all to heal the body, mind and soul. The treatments provide at the Healing Village not only heal you holistically but also helps you to maintain the perfect body balance and overall good health. Kairali has combined the best Ayurvedic practices to provide traditional wellness treatments in the most contemporary ways. The Ayurvedic healing Village is a natural sanctuary of tranquility and peace where you can unveil the unique possibilities of complete wellness and also address the pains and disorders through the Panchakarma Therapies. Panchakarma is Ayurveda's principal purification and detoxification treatment. The aim of PATWA is to promote professional development of travel writing and travel communication which makes invaluable contribution in the promotion of tourism. The members of the Pacific Area Travel Writers Association (PATWA) adhere to the Fundamental Principles of the United Nations, UNESCO and the World Tourism Organisation (WTO).